Maximum Motorsports Mustang K-Member Package - Koni/Tokico - 10" 300lb (96-04) MMKMP-26 300-10"
Save over 40+ lbs when your switch from those steal factory k-members and switch to these lighter MM K-Member packages! 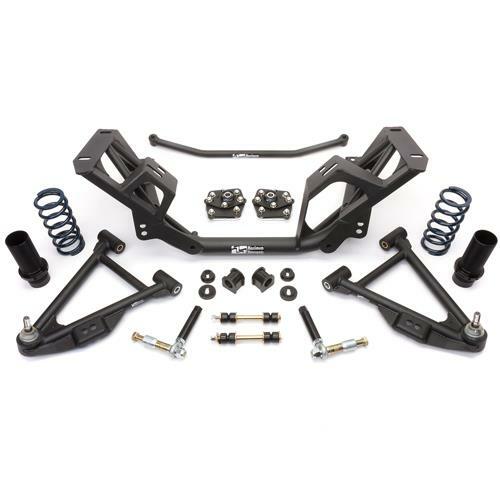 Improve suspension geometry while reducing front end weight with this 1996-2004 Mustang k-member package from Maximum Motorsports! Your factory suspension components are heavy and leave much to be desired in the handling department. 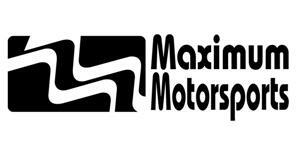 Maximum Motorsports leads the industry in suspension design and engineering for your Mustang. This kit includes vital suspension upgrades to drastically improve your driving experience! This kit starts off by replacing the heavy, factory steel k-member with a lightweight, stronger, and more durable k-member. This tubular design allows for increased clearance in the engine bay while decreasing weight by 22%. The stiffer k-member provides better and more precise handling while staying stable when cornering. The front control arm mounts are shifted 0.75" straight forward. This increases positive caster and moves the center of gravity slightly rearward for improved weight distribution. The wheel will be moved forward slightly to achieve this. Next up is a set of tubular front control arms. These are non-offset control arms and pair well with the new k-member. These control arms include urethane bushings for reduced deflection and quicker steering response. These arms are constructed with 1.25" diameter DOM steel tubing for strength and durability. Low-friction ball joints are pre-installed to improve ride quality and handling. These arms are finished in a black powdercoat finish. Maximum Motorsports includes 10" 300lb coil over springs with this kit. These are designed for use with Koni, Tokico, Strange, and Lakewood front struts that are NOT included. The 10" 300lb rate is great for Mustangs that see heavy street and entry-level performance handling at the track. This kit allows you to adjust the ride height of your Mustang so you can dial in your stance easily with the included tool. -An MM oil filter relocation kit is required for 2003-2004 Cobra & Mach 1. As well as any other 4.6L 4V engine w/ OEM oil cooler. -Will NOT fit Hellion turbo kit.